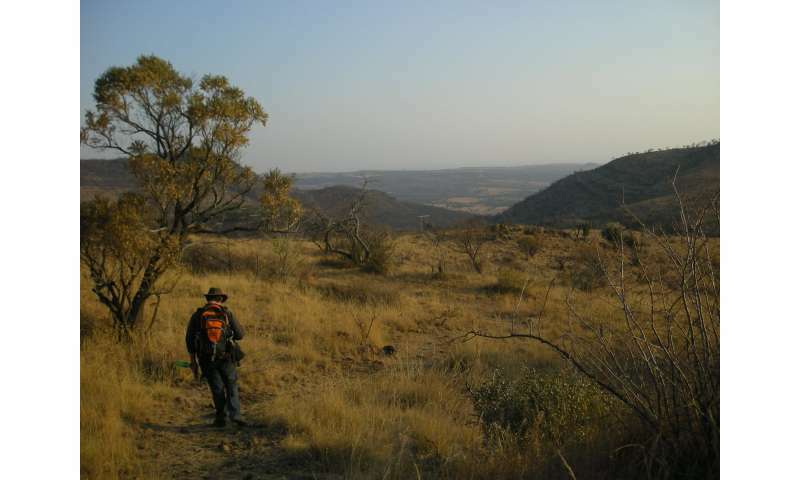 New research from an international team of scientists led by University of Cape Town isotope geochemist Dr. Robyn Pickering is the first to provide a timeline for fossils from the caves within the Cradle of Humankind. It also sheds light on the climate conditions of our earliest ancestors in the area. Published online in the journal Nature on 21 November 2018, the work corrects assumptions that the region's fossil-rich caves could never be related to each other. In fact, the research suggests fossils from Cradle caves date to just six specific time periods. "Unlike previous dating work, which often focused on one cave, sometimes even just one chamber of the cave, we are providing direct ages for eight caves and a model to explain the age of all the fossils from the entire region," says Dr. Robyn Pickering. "Now we can link together the findings from separate caves and create a better picture of evolutionary history in southern Africa." The Cradle of Humankind is a World Heritage Site made up of complex fossil-bearing caves. It's the world's richest early hominin site and home to nearly 40% of all known human ancestor fossils, including the famous Australopithecus africanus skull nicknamed Mrs Ples. 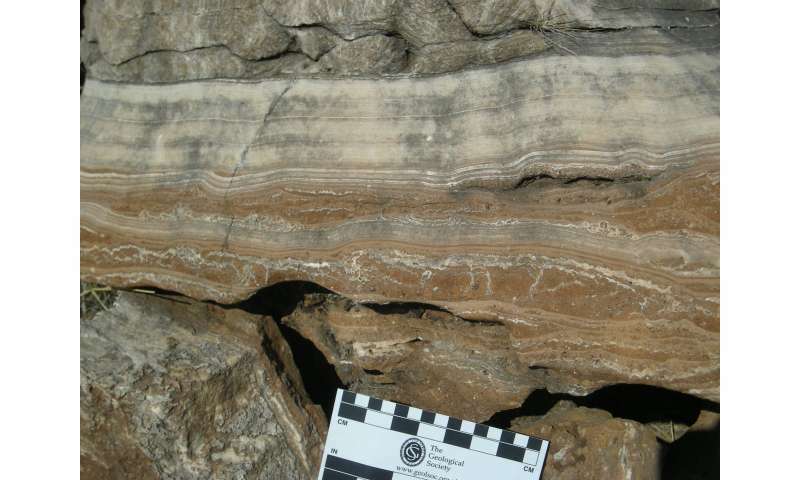 Using uranium-lead dating, researchers analysed 28 flowstone layers that were found sandwiched between fossil-rich sediment in eight caves across the Cradle. The results revealed that the fossils in these caves date to six narrow time-windows between 3.2 and 1.3 million years ago. "The flowstones are the key," says Pickering. "We know they can only grow in caves during wet times, when there is more rain outside the cave. By dating the flowstones, we are picking out these times of increased rainfall. We therefore know that during the times in between, when the caves were open, the climate was drier and more like what we currently experience." Professor Andy Herries, a co-author in the study at La Trobe University in Australia, notes that "while the South African record was the first to show Africa as the origin point for humans, the complexity of the caves and difficultly dating them has meant that the South African record has remained difficult to interpret." "In this study we show that the flowstones in the caves can act almost like the volcanic layers of East Africa, forming in different caves at the same time, allowing us to directly relate their sequences and fossils into a regional sequence," he says. Dr. Pickering began dating the Cradle caves back in 2005 as part of her Ph.D. research. This new publication is the result of 13 years of work and brings together a team of 10 scientists from South Africa, Australia and the US. The results return the Cradle to the forefront and open new opportunities for scientists to answer complex questions about human history in the region. "Robyn and her team have made a major contribution to our understanding of human evolution," says leading palaeoanthropologist Professor Bernard Wood, of the Center for the Advanced Study of Human Paleobiology at the George Washington University in the USA, who is not an author on the study. "This is the most important advance to be made since the fossils themselves were discovered. Dates of fossils matter a lot. The value of the southern African evidence has been increased many-fold by this exemplary study of its temporal and depositional context."